As the new year begins, I'm keeping my eye out for talented street artists who both deserve and have a chance of gaining global recognition. 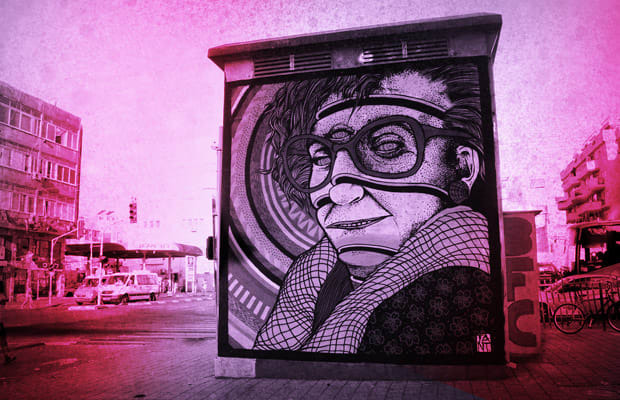 This year, my picks for 10 Street Artists to Watch in 2013 include a mix of young artists who have recently found their footing and older artists whose decades of expertise have positioned them to take their places at the forefront of street art. I've put a lot of hope in Australia, with three Australian artists on the list who have really been impressing me. Living in Philadelphia, I couldn't resist including some of my city's brightest, young street art talents. You may have already heard of some of my picks before, and I'm not saying that I've found a bunch of hidden talents that nobody has ever seen, but I think that all of these artists have been producing strong work recently and have a good shot of really propelling themselves forward in 2013.